Junior right tackle Bill Weber (53) suffers from a season-ending injury. Coppell will have to fill in a void on the offense in tonight’s game against the Denton Ryan Raiders. Weber was taken out of the Flower Mound game with what seemed to be an ankle injury and was later confirmed to be just that. Photo by Rachel Bush. Two weeks ago, after losing junior right tackle Bill Weber with a season-ending injury, it looked like Coppell would have a void on the offense that could not be filled. Weber was taken out of the Flower Mound game with what seemed to be an ankle injury and was later confirmed to be just that. “He chipped a bone in his ankle and they had to screw it back together for a quicker healing, so there are screws where the chunk of bone is missing,” coach Joe McBride said. The loss of Weber is a blow to the Cowboys, especially after they lost senior wide receiver and safety Jacob Logan. Weber is one of the reasons the Coppell run game has gained at least 100 yards on the ground each game. However, after last week’s 31-0 victory against Marcus, and 174 yards rushing later, it seems that Coppell will be fine for the six weeks of his absence. McBride will not change anything about the offense to compensate for the loss of Weber. It is business as usual as always. “We will do what we do. We will believe in the next guy and fill the void,” McBride said. Junior placekicker Adam Centers continued his perfect streak making field goals in last weeks win versus Flower Mound Marcus. Centers’ 51-yard kick in Friday’s matchup was a season high. He is perfect on field goal attempts (6 for 6) and extremely accurate on extra point tries (30 of 34). 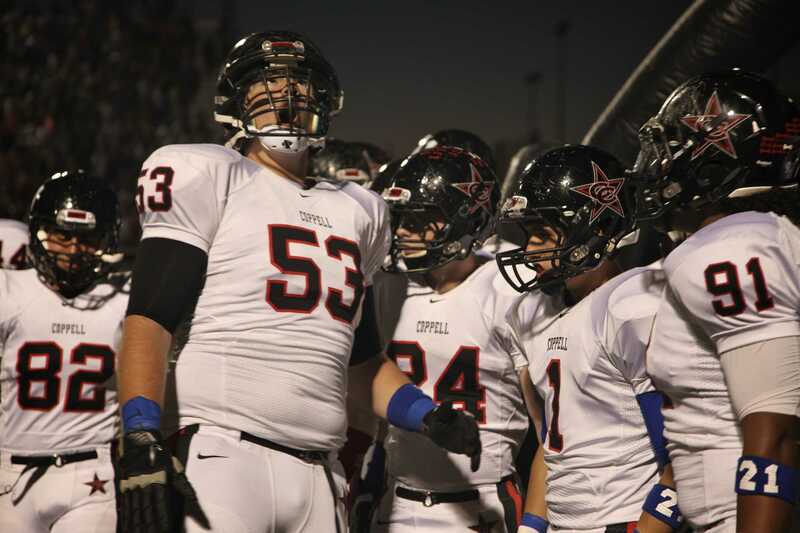 VYPE High School Sports Magazine have rated the Coppell Cowboys as the No. 16 team in the nation. The rating is one spot higher than their no. 17 rank last week.